*sings* IIIIII haaad the time of my liiiiiife…. I am back from London and I am already a mess. I want to go back, back to London and especially back to YALC. I’ve only visited for one out of three days but it was uh-may-zing. I had one of the best days in my entire life. 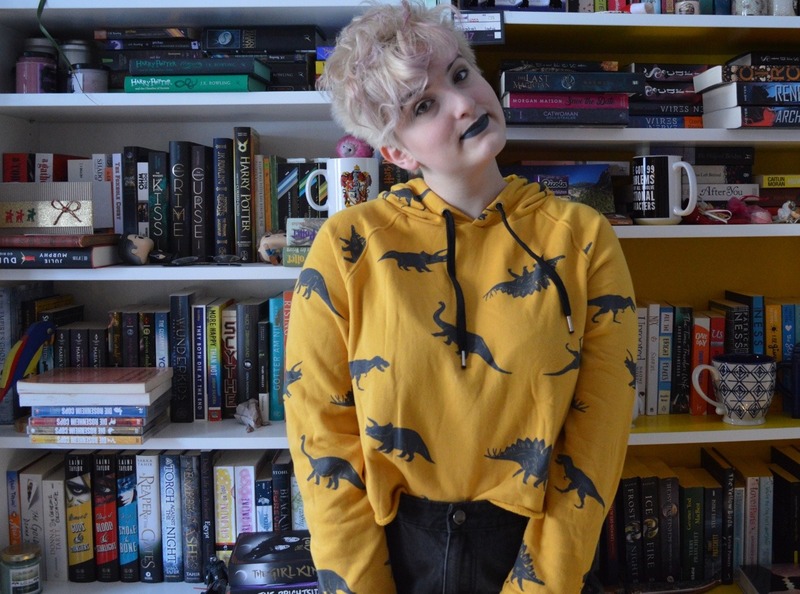 What even is YALC? It’s the UK’s Young Adult Literature Convention, which takes place together with the London Film& ComicCon. There are publishers and authors, selling their books, hosting competitions, giving away goodies, hosting panels. And then there are a ton of wonderful readers. And to describe it in two words: reader’s heaven. I stepped out of the lift and I felt instantly at home. Books and bookish people, my favourite things, so much to explore and see and so many people to talk to. So, what did I do all day? Basically, I was walking around all day, looking at everything and talking to people. I learned of some exciting new books and added a lot (a lot) to my TBR. Altogether, I got 10 books on this day, 2 of them proof copies. And I am seriously so excited for every single one of them. I can’t even read as much as I want to. Besides the books, the people were just wonderful, all of them. They were friendly and helpful and just so freaking nice. I probably never got to know a cooler bunch of people. And when I say people I mean every single person who visited YALC on Sunday. So, I also went to the Life Advice panel with Hannah Witton, Sara Barnard, Holly Bourne and Chelsey Pippin which was amazing and hilarious and wonderful and I am now probably seriously in love with all four authors. And I also went to Anna Day and Nikki Sheehan’s book signings and both of them were literally friendliness in person. That was basically YALC for me, and I definitely plan to go there next year again and also the next 100 years to come. So. London. When I arrived there on Saturday it rained. Of course it did. Of course I also forgot to take an umbrella with me. Who the hell forgets to take an umbrella to London? Well, that’s why I spent my evening having food and reading royal navy novels at the feet of Lord Horatio Nelson, which felt kind of epic. Now, that sounds kind of weird, but it really felt this way. Sunday was all YALC, but on Monday I met up with one of my favourite people, Abbie (boneseasonofglass) and we had a wonderful day strolling through bookstores (and buying too many damn books in my case), having food and visiting the Natural History Museum. And that is one amazing museum, let me tell you! It’s been two days and I still keep thinking about how awesome it is, and we haven’t even seen all of it. I definitely have to get back there asap and spend hours or days or weeks there, enough time to see everything. I probably have a new favourite museum. And please, if you visit London, forget everything else and go straight to NHM. Righty, that was my third trip to London and it was damn amazing, can’t wait to get back. Have you been to London? Do you have a favourite museum (anywhere in the world)?